In this second edition of his autobiography and entrepreneurial legacy book ghostwritten by Canadian corporate history expert and company history writer Dr. Ulrich Frisse, John Heffner Sr. reflects on his remarkable life story that spans two centuries as well as two continents. Born into an ethnic German family in Gara, Hungary, in 1929, John Heffner lived through the tumultuous years of the Second World War and personally experienced the many challenges of life under Communism in post-war Hungary. A mechanic by heart and driven by the dream to run his own automotive repair shop one day, he fled Hungary shortly after the Hungarian revolution of 1956, making Canada his new home. As an independent entrepreneur and founder and long-time president of Heffner Toyota and Heffner Lexus in Kitchener, Ontario, Canada, John Heffner has been able to turn his entrepreneurial dream into reality. 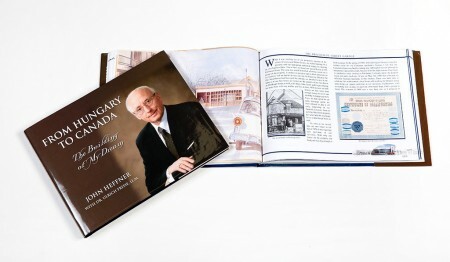 Based on interviews and in-depth research into the history of the German ethnic community in Hungary, life under Communism, the Hungarian Revolution, and the history of the German ethnic community in Canada, the book tells the life story of John Heffner and the corporate history of Heffner Lexus/Toyota in his own voice through a contextually rich narrative that is authentic, accurate and compelling. Having Dr. Frisse and Historical Branding Solutions capture our father’s legacy was a way for us to say thanks to our Dad for all he has done. What truly stands out in our mind is Dr. Frisse’s ability to tell a corporate story in the broader context of the historical developments that shaped our Dad’s life both as an entrepreneur and as a person. 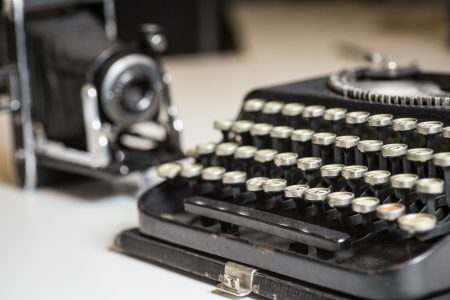 Are you planning to recognize the ongoing legacy of your company’s founder through a premium legacy book, company history book, corporate history book, or anniversary book? At North America’s leading corporate history agency, Historical Branding Solutions Inc., we are here to help. Give us a call at 519-501-1412 or email us.